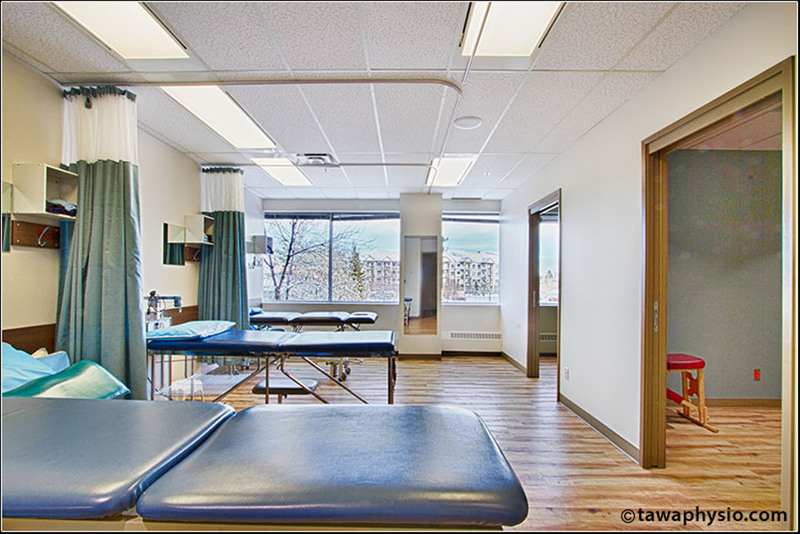 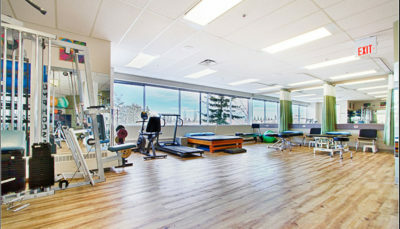 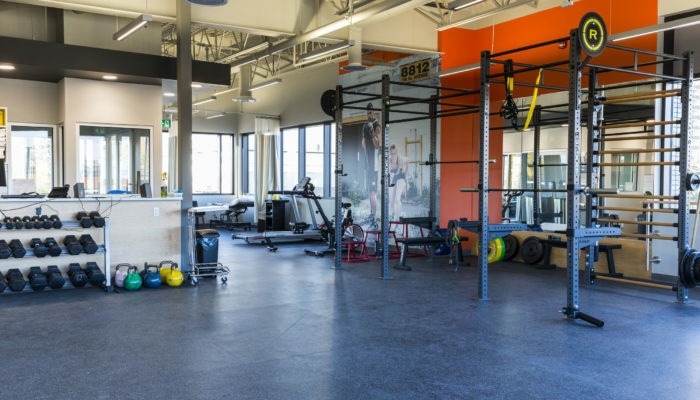 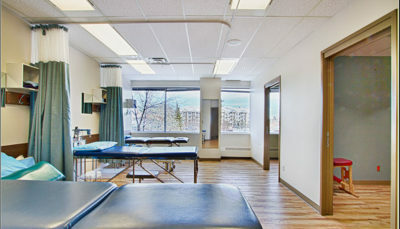 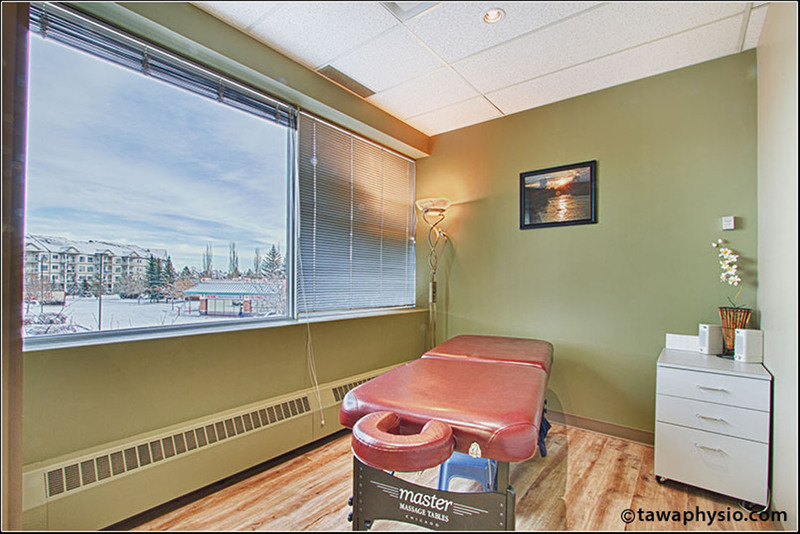 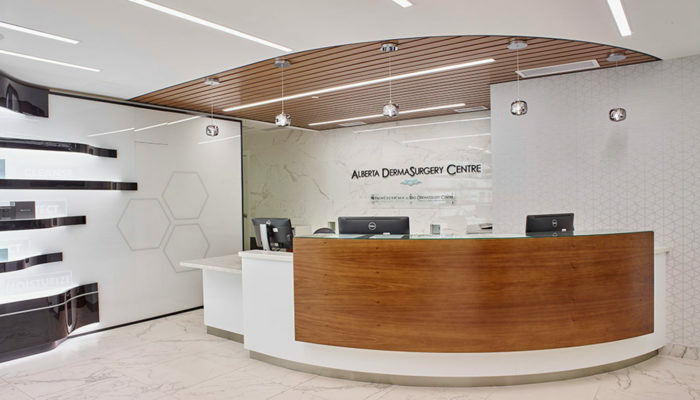 TAWA Physical Therapy and Sports Injury Clinic : Wolski Design Group Ltd.
After 20 years in their previous location, TAWA Physio’s new facility is a dramatic upgrade. 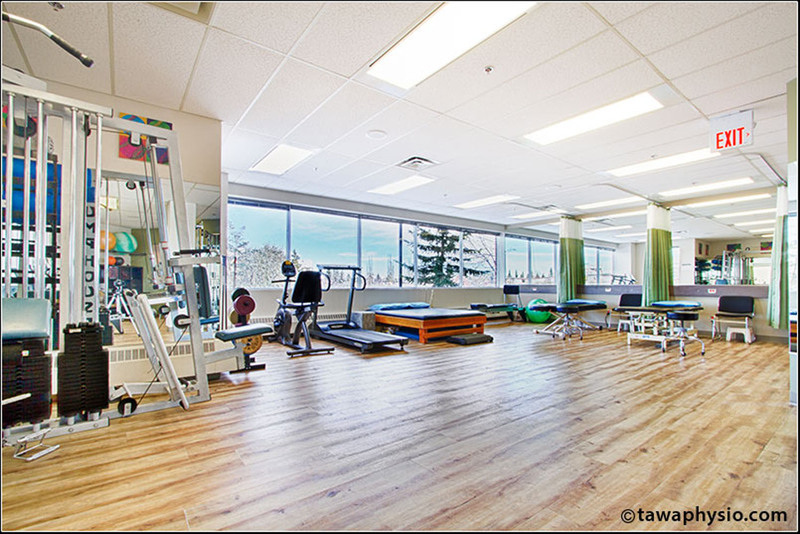 Although their total area has decreased, functionality has certainly increased, with sought-after modern treatment needs being accommodated. 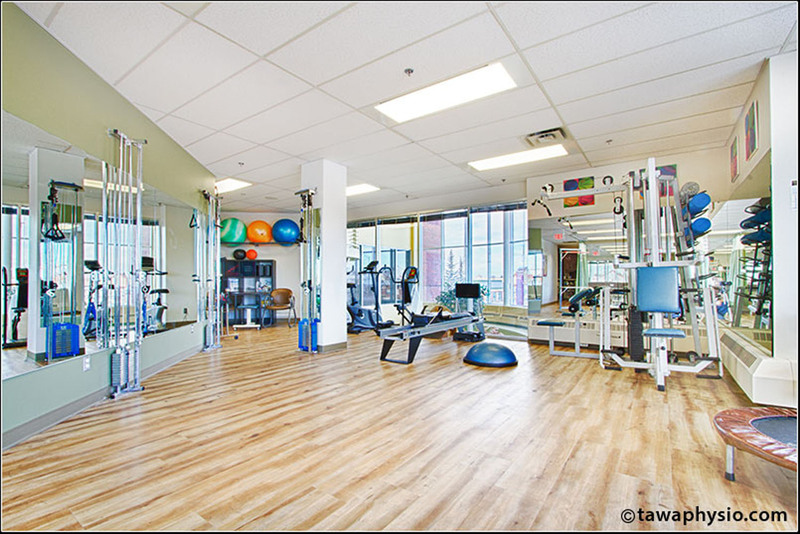 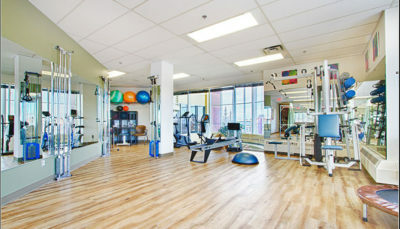 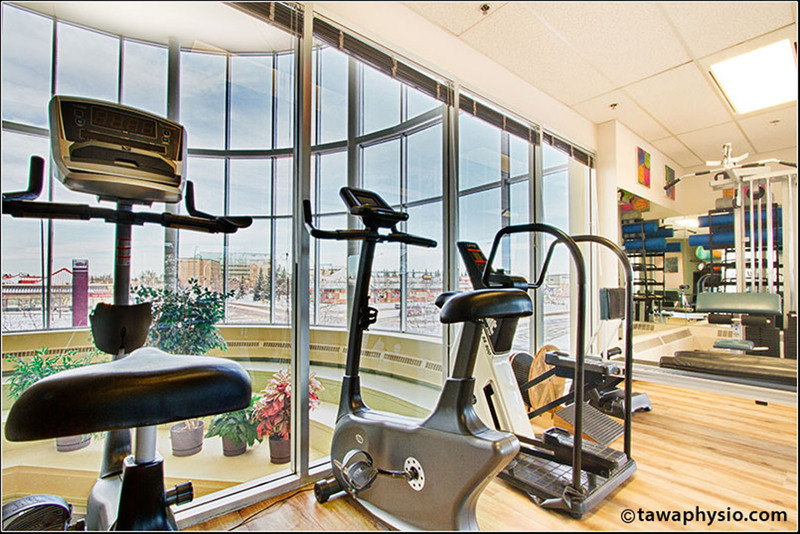 Since TAWA primarily focuses on sports rehab, the exercise area supports a variety of activities. 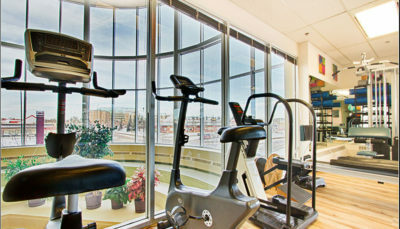 The gym reaps the benefits of the natural light beaming from the adjacent atrium. 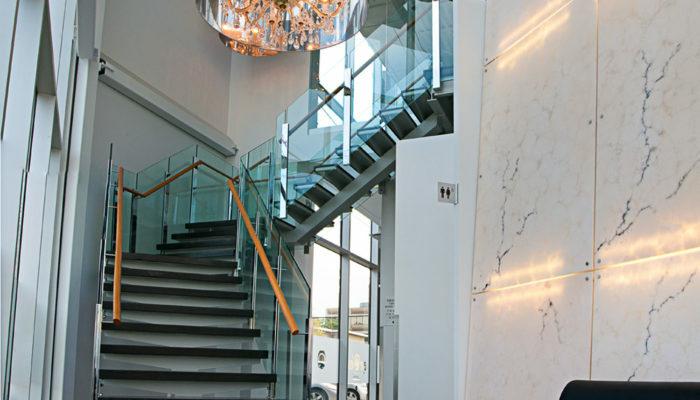 Mirrored walls throughout increase functionality and brightness. 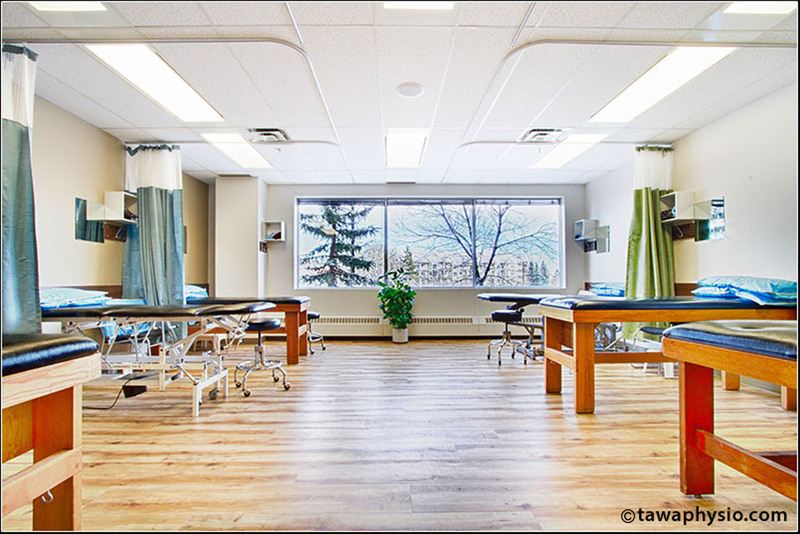 Warm finishes create a welcoming and healing space for clients and staff alike. 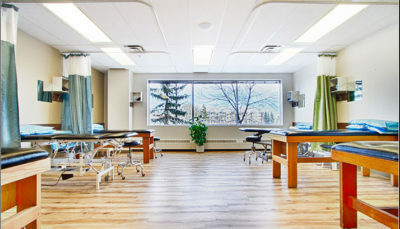 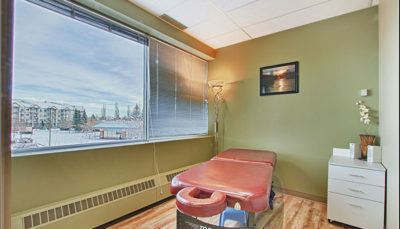 The space also functions as a teaching clinic, so areas are kept open to facilitate both lectures and hands-on training, while closed rooms provide private space for treatments and massage. 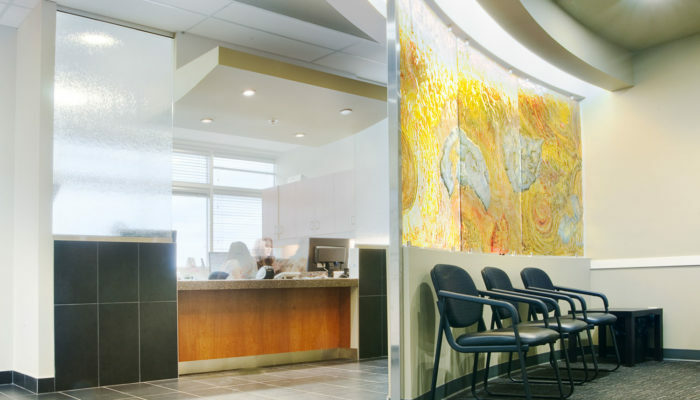 Warm finishes create a welcoming and healing space for clients and staff alike.